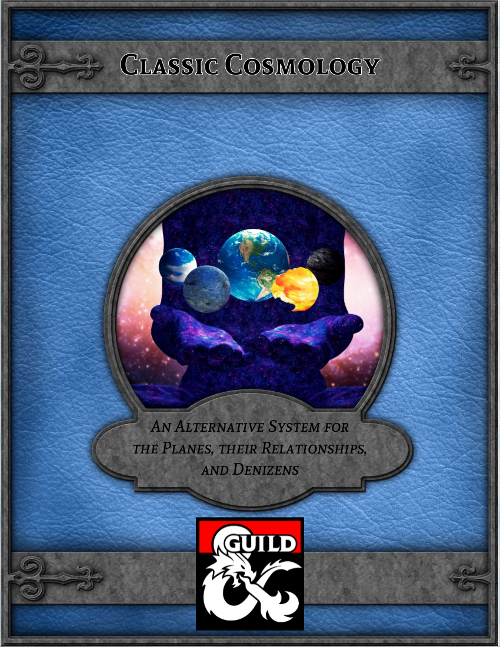 I’ve got a long way to go before it’s done, but I’ve recently had a spurt of inspiration and energy for my wuxia/Chinese folklore supplement for old-school gaming, and I thought I’d post some of my thoughts on how it’s going to be organized, and what sort of stuff will likely find its way into the book. First off, it’s completely China-focused. 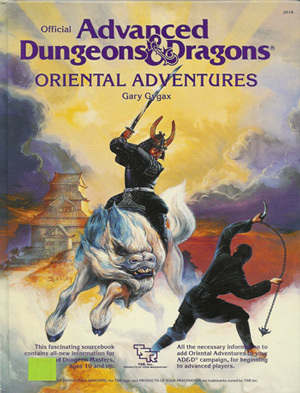 One of the things that was both baffling and annoying about the original Oriental Adventures book was its mish-mashing of Chinese, Japanese, and other Asian material, with a decided focus on the Japanese. There will be neither ninjas nor samurai in this book. That’s not to say it’s an historical game; far from it. But the influences will come solely from China. Secondly, it draws inspiration from two sources; wuxia film and literature, and traditional Chinese mythology and folklore. 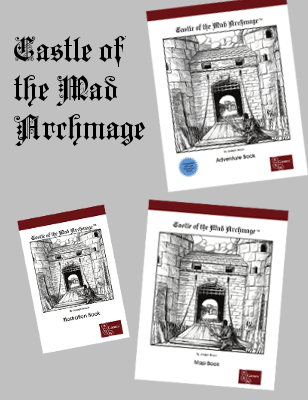 In the same way that Gary Gygax took inspiration from European and Biblical folklore and literature for a lot of spells, magic items, and character classes, this book will draw from Chinese mythology and folklore. I’m also adding in a healthy dose of wuxia tropes and themes, most specifically in the introduction of rules for kung fu. Building on a mechanic of the core Adventures Dark and Deep rules before it, this Chinese supplement will treat kung fu abilities as secondary skills (which in turn were inspired by Gary Gygax’s rules for skills written for the Castles and Crusades game), kung fu skills are learned in three stages. Each stage costs a set amount of experience points per level, with the amount of xp required decreasing if your character’s highest attribute is relevant to the skill in question. 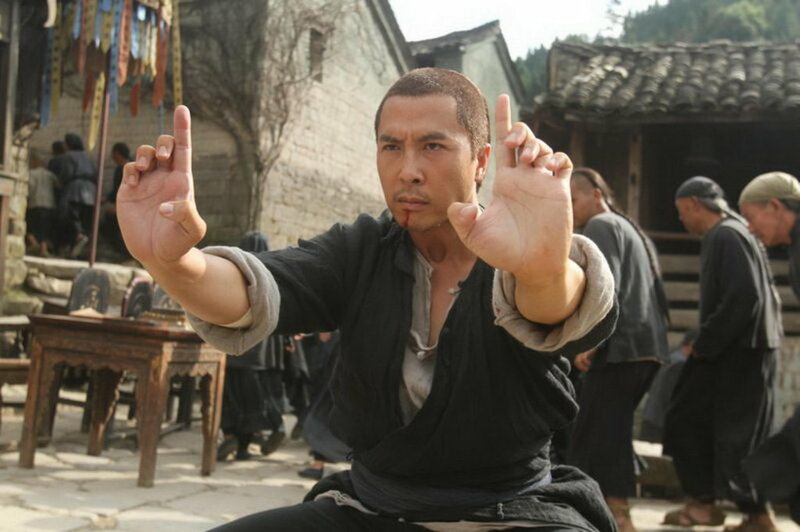 Once you “spend” the xp to learn that level of a particular kung fu style, they’re forever lost, but you can of course earn more xp to replace them. Spending them does require that the character find a teacher that is both able and willing to instruct the PC, naturally. Monks, by their nature, start off with a level in one kung fu style. To take one example, “Dragon Foot Style” allows characters to kick enemies back one foot per point of strength, and gain damage bonuses if using pummeling to kick, plus other bonuses as they buy new levels in it. 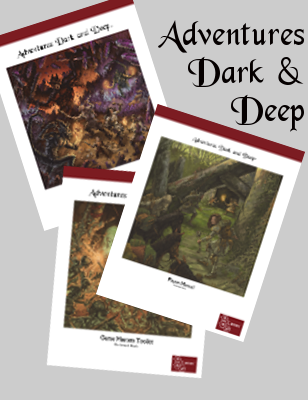 A lot of the kung fu rules lean heavily on unarmed combat (naturally), and the Adventures Dark and Deep unarmed combat rules, which I think are a lot easier than those in 1st edition, will be included as an appendix. Other styles allow characters to fight blind, do backflips to get behind enemies, and even levitate and climb walls. It’s intended to really capture some of the cool moves featured in some wuxia films. The traditional “Tolkienesque” fantasy races don’t feature prominently in a mythic China setting, but two new races are included; shanxiao (monkey-men) and gou ren (dog-headed people). Every character class is covered, even if it’s a perfunctory “this class doesn’t exist in a mythic China setting”, such as paladins and druids. New classes include monks, wu (shamans, a sub-class of cleric), and fangshi (a sub-class of mage). Naturally there are tons of new spells for both classes. So far, I’ve got 67 new spells (plus all the original spells that the wu and fangshi can also cast), 43 new magic items, and 85 new monsters, including the various sorts of elementals (including meta- and quasi-elementals) that one would naturally expect when one adds elemental planes of metal and wood. All that from just reading books on Chinese folklore. 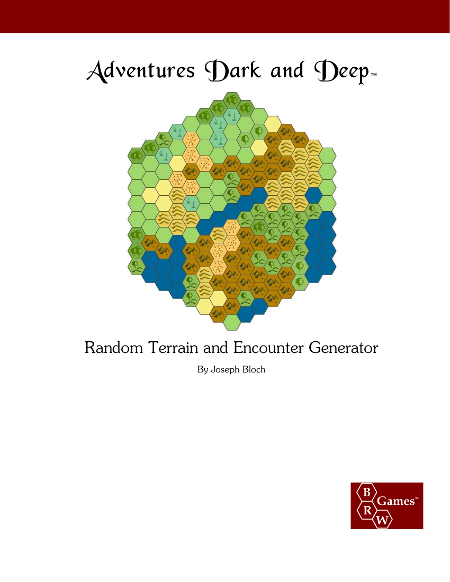 Naturally, there will be entries for Chinese-style weapons and armor, and everything will be fully compatible with Adventures Dark and Deep, and, by extension, most old-school RPGs (with maybe a few tweaks here and there for some rules). 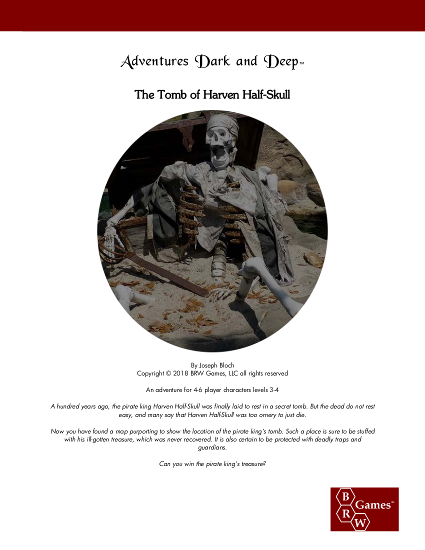 All in all, I’m really pleased with the way the book is going. It seems new to me, and it’s definitely a change from the Japan-centric “oriental adventures” books that have come before. There will probably be a Kickstarter at some point to pay for art and editing, once the text is done. I’ll keep you posted. 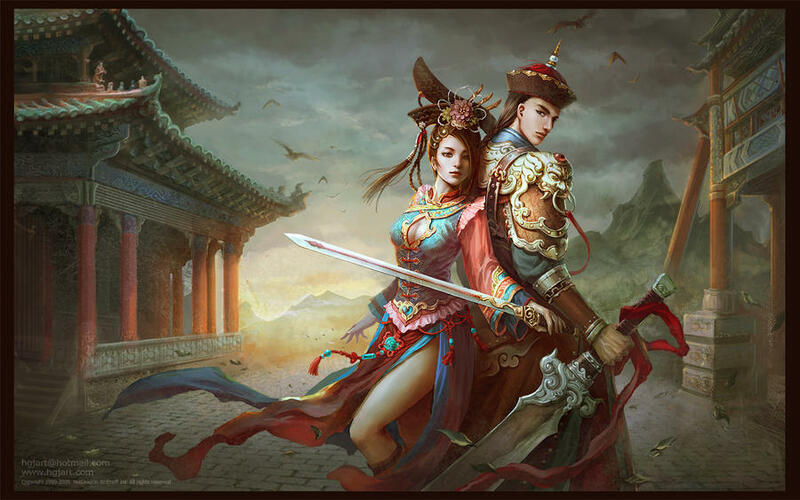 Posted in Adventures Dark and Deep, Oriental Adventures, Wuxia. You might also want to check out some old RPGs from the '90s, including Hong Kong Action Theatre! and Swords of the Middle Kingdom (both from Event Horizon Productions), Feng Shui (probably more generic than you're looking for), and DragonFist (and old freebie download from Chris Pramas IIRC).